If you've been wanting to get your electric massaging chair for a while, but have been putting off the purchase, now is a great time to take the leap. 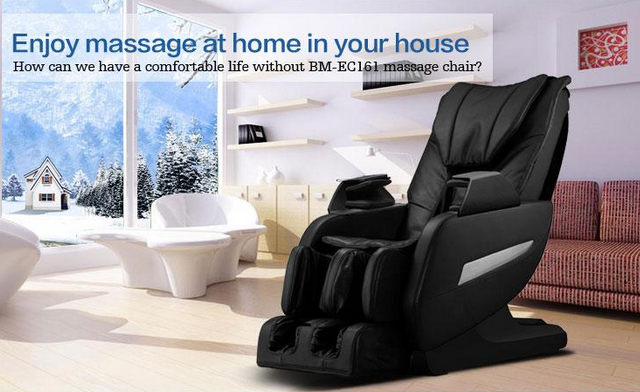 After the wildly popular and successful EC-06C from BestMassage, the next generation has arrived. 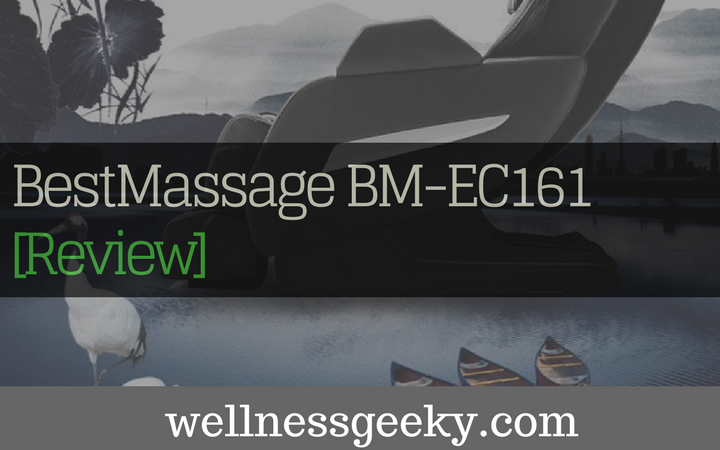 At a remarkably affordable price of less than $1,000, the BM-EC161 has taken all the technological and health advances built into the original and created the next best in the line, delivering true and un-matched multi-featured and functional massage. This chair is designed to stimulate and activate the body's meridian by way of acupressure. 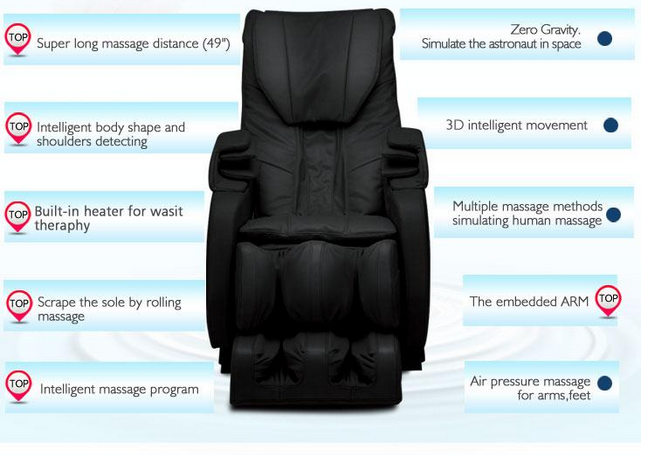 This latest upgrade, the Full Body Zero Gravity Shiatsu Massage Chair Recliner with Long Rail from BestMassage, takes the surface area coverage from the EC-06C and extends it by 60 percent, creating 49 inches of massage surface area. 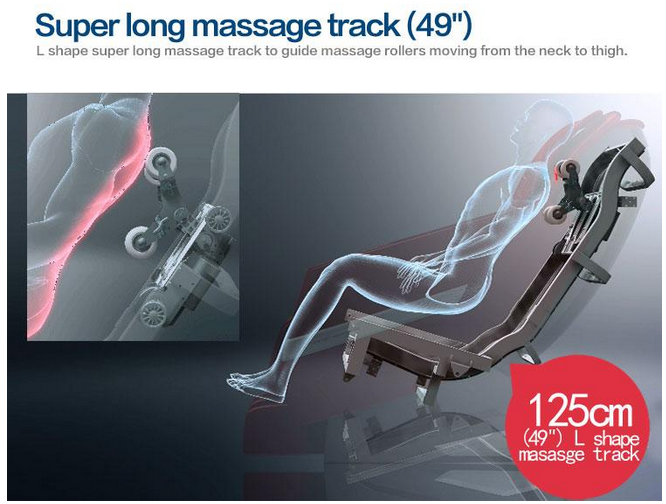 Together with the enhanced, extra-long L-track system, you know get a full range deep tissue massage from the top of the neck, down the back, under the buttocks, all the way down to the hamstrings within the thighs. You get the healing power of a full deep tissue massage over your entire back body, neck, shoulders, hips, and thighs, as well as both sides. The multi-functional massage techniques are employed via the intelligent design, which most closely resembles that of a real human massage. Kneading is delivered in two directions simultaneously, relaxing muscles and activating the cellular core. Sync employs tapping and kneading at the same time, which heightens the senses and increases circulation. Shiatsu is given for ultimate deep tissue massage, enhancing relaxation. Tapping emulates what a masseuse employs with the palm, releasing pressure. Energetic works the muscles on both sides of the back, under the shoulder blades where most people hold stress and tension. Drum tapping is delivered to the waist, which improves blood flow and eliminates pain. 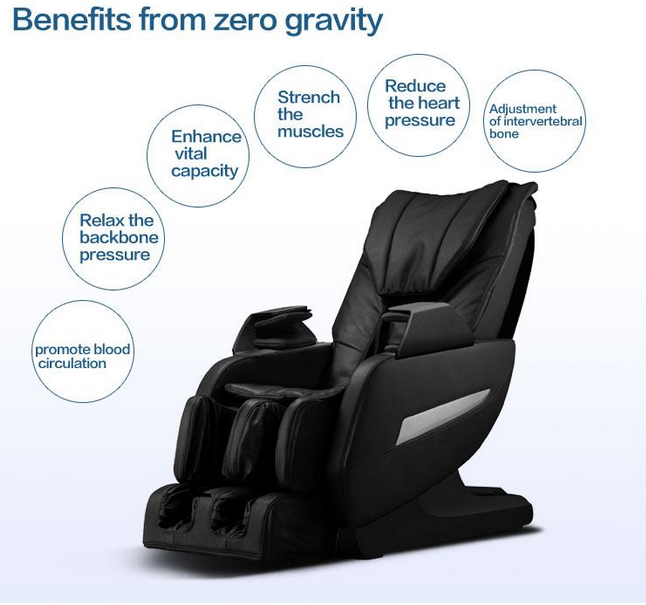 Zero gravity positioning enables you to fully recline, taking all the weight off your spine and joints. Lowering down to the second stage raises your feet above your heart, putting your body in full balance and allowing for more in-depth breathing. This position provides ultimate relaxation, as you are made to feel as if you're floating on a cloud. Zero gravity recline also stretches the muscles, adjusts the vertebra, promotes better blood circulation, and takes pressure off the heart. The smart massage system works with your body shape down the entire length of your neck and spine, delivering various massage techniques to relieve sore, stiff, and tight muscles. This also enhances relaxation and stimulates the pressure points within and along the meridian. The heated waist relaxes muscles and soft tissue and improves blood flow, assisting the healing through the meridian. This is an excellent treatment for those who suffer from backaches, stiffness in the waist and side muscles, and even those who get regular stomach aches. Rollers in the feet scrape the soles of the feet, and both arms and feet receive air massage. The 3D intelligent massage system works on both the surface of the body, delivering a gliding massage, as well as into the muscle, for therapeutic deep tissue treatment. The automatic shoulder sensor adjusts the width, so it matches the exact specifications of your upper back. Rolling massage boosts the immune system and relaxes the body and mind, leaving you feeling more refreshed. It also improves the flow of oxygenated blood through your body, aiding in a better, more restorative night's sleep. The massage programs are extended to promote flexibility; recover, to refresh and renew your body and mind; relax, to rejuvenate your spirit and enhance productivity; and refresh, which soothes sore and aching muscles, providing more significant pain relief for your entire body. The leg and footrest are equipped with airbags, which deliver compression to the pressure points, and relieve fatigued feet and calves. For the price tag, this is an excellent, full-featured unit that rivals top-of-the line luxury chairs that cost up to ten times as much. Based on traditional Chinese medicine and therapies, you get a cutting-edge massage that focuses on the health of body and mind, all generated by the latest in engineering. You can find it at a discount on Amazon. You do need 20 inches of wall space behind the chair to recline fully, so this isn't your best choice for a small space or apartment. If you like a chair that functions like a recliner, you'll want to look elsewhere. The leg and footrests do not raise independently. While the chair can be delivered, it's quite heavy, so plan on having some friends or family members help you bring it into the house. Installation isn't included. The waranty will depend on the store or manufacturer you buy it from, so check with them before you buy. Extended warranties are available at an additional charge. The research, as well as opinions of eastern versus western medical practitioners, has been mixed over whether meridians in the body exist. Beyond their existence, there has been much discussion over whether we can treat illnesses with bodywork that targets the meridians and pressure points of the body. Practices like acupuncture, yoga, and massage, all work toward the belief that these are the gateway to healing passages. Recently, however, a study was released, discussing the existence of meridians in the body, and the healing powers locked within them. This is excellent news for the body-mind connection as well as the healing power of massage. And you can get exactly that type of healing power right in your own home. No more doctors, massage therapists, or trips to the physical therapist. A home massage chair is an investment in a better, more healthful life. And whether you loved the previous version, the Bestmassage EC-06C (review), or another of BestMassage's many best sellers, like the BM-EC77, and you're ready for an upgrade, or you're buying your first model, this is an excellent choice. Luxurious features, healing benefits, technologically advanced, and built to improve health and wellness, this chair will keep you healthy and well for many years. It's also affordable. If you don't mind a little heavy lifting, and some assembly, you'll be happy with this model.